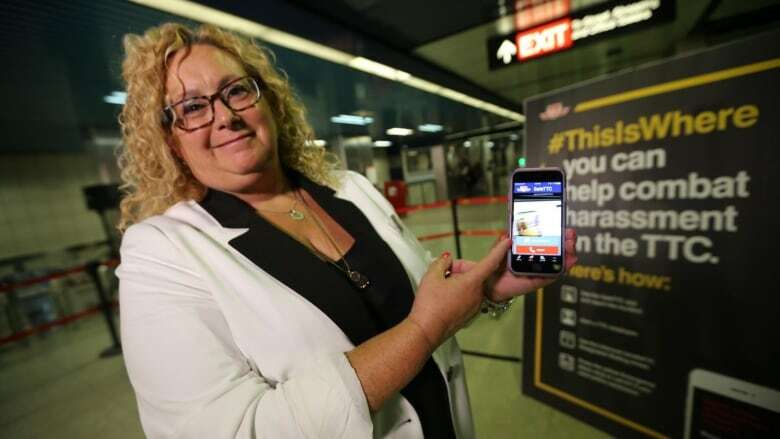 The Toronto Transit Commission launched a new mobile app Wednesday which allows passengers to discreetly report harassment, safety concerns or suspicious activity within the system. 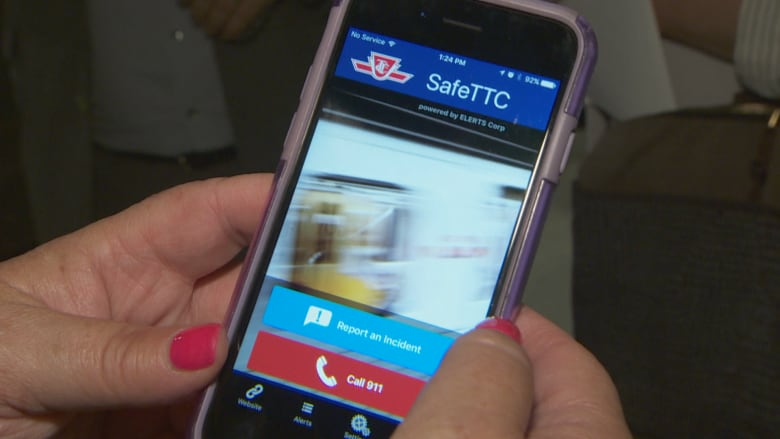 SafeTTC gives users two options: to report a problem directly to the TTC's transit control centre by sending text, photos or videos of the incident, or to call 911. "I think people really want a way to empower themselves in situations where they feel uncomfortable," said Susan Sperling, the TTC's manager of corporate communications. The TTC says trained officers at transit control will respond to reports submitted through the app. That response could be dispatching transit enforcement officers to the vehicle, station or stop, as well as communicating directly with the person reporting the incident. If someone sends a report in an area without an internet connection — onboard a subway train, for example — it will be stored and sent automatically once the connection has been re-established. Wi-Fi is now available in all stations, the TTC says. However, in the event of an emergency, transit officials are still encouraging people to alert a uniformed transit employee, use the yellow alarm onboard vehicles, or call 911. The app is launching at the same time as a new campaign to crack down on harassment on the transit system. 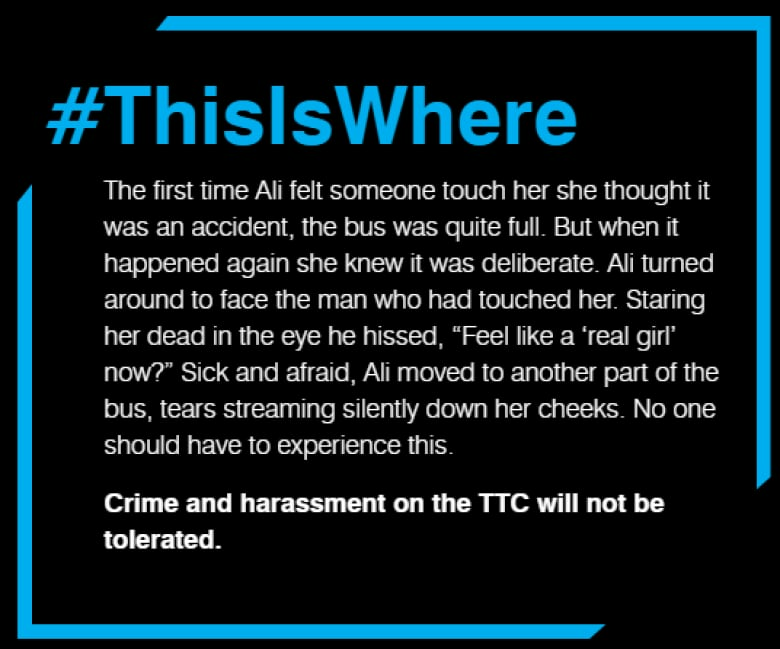 It's called #ThisIsWhere, and it provides real examples of harassment within the transit system. "We want to be honest with our customers, with the general public, and with ourselves about what's happening on the system," said Kirsten Watson, the TTC's chief customer officer. "This is our attempt to really own the issue and demonstrate that we're here to help and address the issue." In 2015, the transit enforcement unit received 67 reports of sexual assault. That number jumped to 85 in 2016. As of July 31 of this year, the TTC received 55 reports of sexual assault. 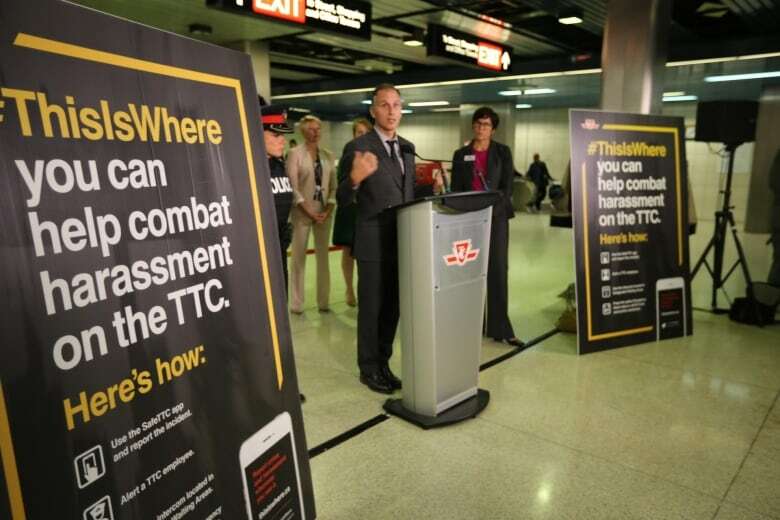 Colle confirmed Wednesday the SafeTTC app can be used to report alleged misconduct by TTC employees. It's also a tool for employees to report harassment, he said.